Matthew McConaughey is the real deal, y'all (said in my best Texan accent). If you weren't on board with the McConassaince yet, then it's about time to join in. I preface this review with this because the biggest takeaway from "Dallas Buyers Club" is that damn, this guy has really become a fine actor. 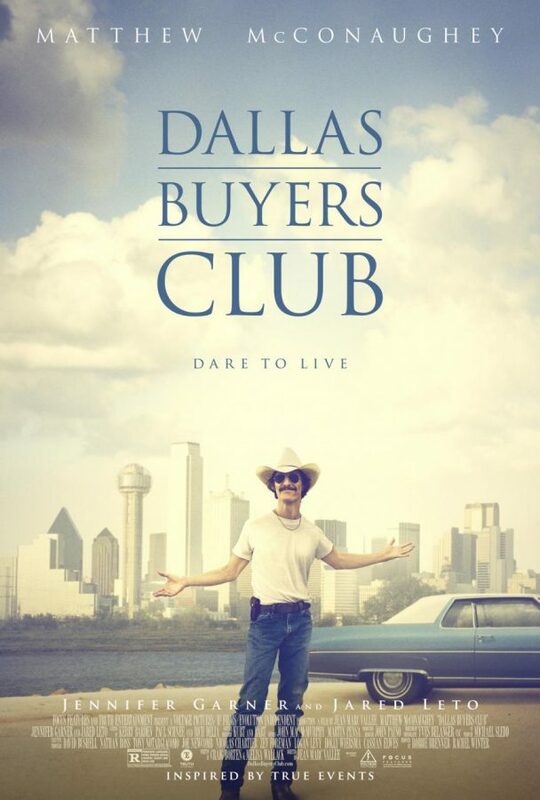 "Dallas Buyers Club" is the true story of Ron Woodruff, an electrician who is diagnosed with AIDS during the height of the 1980s epidemic. A cocky bigot, his infection with a presumed "gays only" disease gives him the shock of his life. His doctors inform him that he only has 30 days left to live, which springs him into action to find treatment. He eventually founded the Dallas Buyers Club, which sold subscriptions to AIDS patients so they could receive the effective medication that weren't approved by the FDA. As I watched this film, I couldn't help but be reminded of the previous year's stirring documentary "How To Survive A Plague". They're both set in the same time period and they share a similarly angry stance against FDA's bureaucratic process, which failed in allowing persons to get the medicine they urgently needed. Both films also have a nifty sense of the "ticking clock", frequently reminding us of the days since the virus has hit, which keeps us aware that time is running out. The comparison between the two films is unfortunate however. "How To Survive A Plague" is a powerful blitz of passion and fury, which makes "Dallas Buyers Club" feel underwhelming. Its script just goes where you expect it to go (albeit with good directing) and never throws you any "curve balls". Well, that's where McConaughey comes in. He is the full embodiment of Ron Woodruff, getting right down to the truth of the character. It's a full transformation, which is more than just the scary weight loss. He is living, breathing, feeling every moment on screen and it's amazing to watch. You've probably also heard of Jared Leto's superlative performance as Rayon, Woodruff's transgender business partner. While his transformation is indeed impressive, I must admit that it's not as revelatory as expected. These two actors make for a very compelling duo, so I just wished they would have given Leto a little more to do. Overall, "Dallas Buyers Club" is a competent film that is elevated by the work of its lead actor. The main reason I would reccommend this film, is to see his performance. Luckily, he's on screen almost all the time, making this a captivating film indeed. Many didn't expect it, but this film is gaining serious traction in this year's Oscar race. Jared Leto seems locked for a nomination and has a very good chance of winning Best Supporting Actor. Likewise, Matthew McConaughey is a strong contender for Best Actor. The film is an acting showcase however, so there are no surprises there. 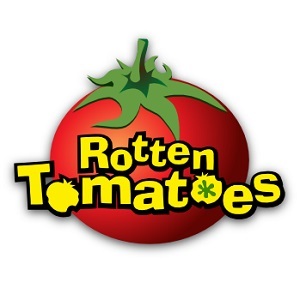 The most notable sign of the film's strength is its contention in the very competitive Best Original Screenplay category. To be considered alongside Woody Allen, the Coen brothers, Spike Jonze and David O. Russell means that people really like the film. As a result, I think it's also a strong possibility for a Best Picture nomination. Also look out for a potential nod in Best Makeup and Hairstyling. They really made Matthew McConaughey and Leto look very sickly. ˇMatthew is becoming my favorite slow and steady since he has been taking on roles that don't require his looks/charm (though he never leaves those behind) but his great acting chops. He looked so bad in this bad physically and in a good way, Leto was also strong and indeed, he wasn't there as much but I figure that it takes a lot of different kind of acting skills to look so feminine. PS: I kind of liked the sound editing, the haunting and piercing tone that usually was a sign of Ron passing out was always scary to hear because you thought, this is it.. this is it! Yes, you're very right about the sound. I noticed it too. Really love where Matthew McConaughey is going with his career. Can't wait for Interstellar. Good review Shane! I liked this film a lot, especially performances. Agree that Matthew had a huge transformation and he's great as never as Ron, but I loved Jared a little more than him, because his transgender Rayon was so natural and good. Thanks Nika. The performances really are quite good here. I agree that Jared's transformation is amazing. He's a good actor.